Partisans in front of makeshift headquarters near Pinsk, 1944. 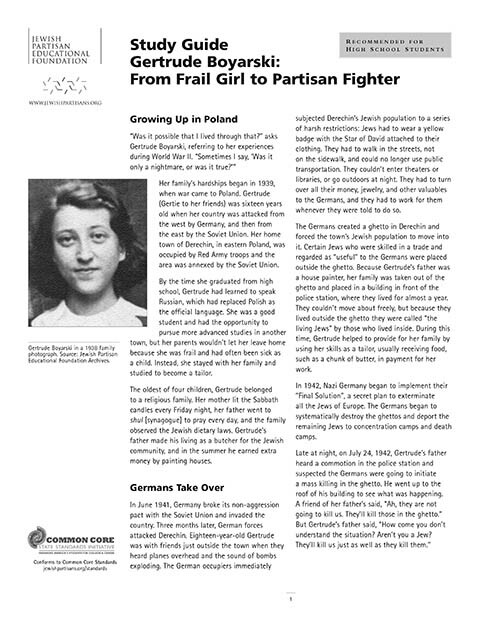 Source: JPEF / Faye Schulman, A Partisan’s Memoir. Second Story Press. During World War II approximately thirty thousand Jews escaped ghettos and work camps and formed organized armed resistance groups to fight the Nazis. These groups were known as partisans. 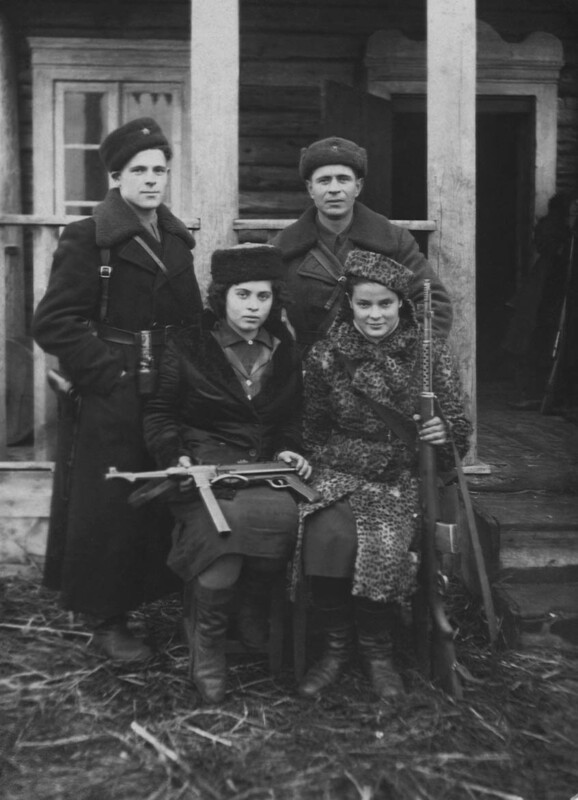 Despite the odds, women were able to join the partisans. Their work in the partisan encampments ranged from domestic duties such as cleaning cooking and nursing, to reconnaissance, weapons transport, as well as armed combat. 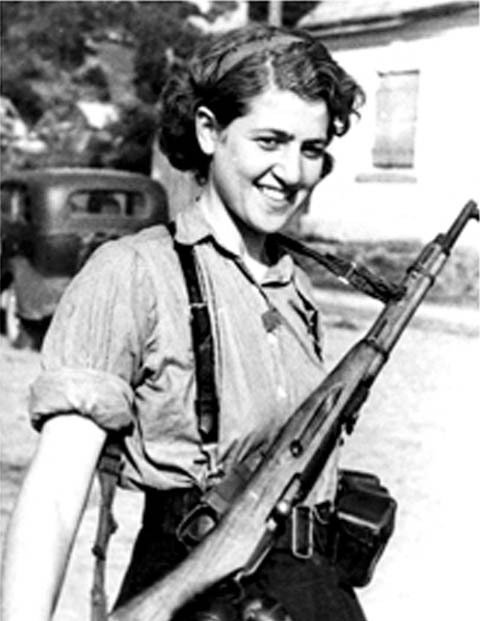 Women made up approximately 10% of the partisans. 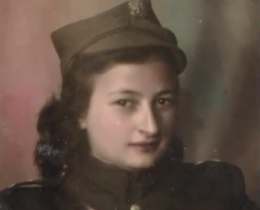 Meet Jewish women who fought back against the Germans and their collaborators during World War II.